What: After considerable chatter online, it’s been confirmed that renowned chef David Thompson is finally opening a restaurant in Hong Kong—and it will be situated within the Tai Kwun heritage complex. Aaharn is Thompson’s first establishment abroad since he departed from the acclaimed Nahm earlier this summer after 18 years. Unlike Thompson’s Long Chim restaurants in Singapore and Australia, Aaharn is a new concept from the Australian native. What: After a sold-out four-hands dinner at Amber and a successful cookbook launch, Virgilio Martinez is returning to Hong Kong this autumn for his Hong Kong debut. Located within the artistic quarters of H Queens, Ichu Peru is the Peruvian chef’s way of bringing his terroir-oriented dining and comfort food dishes to Hong Kong. Operated by the Bulldozer Group (which opened the now-closed Seafood Room), the new establishment is set to showcase interiors inspired by Peru’s landscapes with raw, dynamic textures developed by award-winning interior designer Joyce Wang. 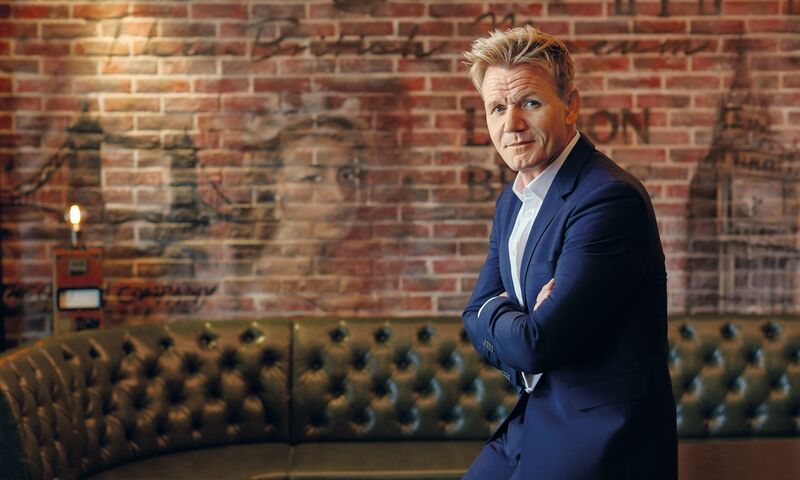 What: After London House, celebrity chef Gordon Ramsay is set to open his next restaurant in collaboration with Dining Concepts. The experienced master chef is taking his Maze Grill concept (which has three branches in London) to the newest wing in Tsim Sha Tsui’s Harbour City, whose latest extension wing is populated with new dining establishments injoining the likes of Fu Rong, Paper Moon, and Hexa. More concepts and details relating to Hong Kong’s Maze Grill outpost has yet to be released. Watch this space as we bring the latest updates on Ramsay’s new fine dining establishment. What: When it opened in late 2013, Little Bao whipped up a wave of interest for stuffed steamed baos in Hong Kong. This autumn, the petite restaurant is set to open a new branch in Causeway Bay, landing a prime space on Fashion Walk neighbouring Singaporean import Tian Tian Plus. We have high hopes that the new Little Bao Diner will feature a bigger menu and space that may reduce time for queuing. Our sources confirm that the new restaurant is set to open by September 2018. What: The popular La Petite Maison brand from London is set to open its first establishment in Asia, joining the list of international locations that include Miami, Istanbul, Dubai and Abu Dhabi. The Hong Kong outpost will be located at Central’s H Queen’s building, and continues the tradition of celebrating the simplicity of light French and Italian Mediterranean cuisine. Guests can anticipate a range of pasta, seafood, and meat dishes prepared with fresh Mediterranean produce such as artichokes, courgettes, olives, and lemons. The 120-seat restaurant will be in a casual fine dining format with art-driven interiors. What: Taking over the space vacated by Catalunya (now known as La Rambla, located in IFC) is Tokyo export Wagyumafia—purveyors of what has widely been coined the world’s most expensive gyukatsu sando. Hisato Hamada was in Hong Kong earlier this year for a one-night-only dinner hosted by La Rambla, so it appears he has gotten a taste for the city. While the space is still under intense renovation, we’re hoping it will be open before the end of the year. The opening of the Hong Kong branch of Wagyumafia is hot on the heels of a planned new location in Manila. What: Inspired by the spice trade between East and West, John Anthony is a new Chinese restaurant concept opened and operated by Maximal Concepts. The new restaurant will take on a more casual approach compared to the group’s fine dining Chinese venue, Mott 32, while presenting Chinese dishes with surprises with cooking techniques, an unconventional twist on spices and unique presentations. John Anthony is set to open next month. What: After Shake Shack took Hong Kong by storm, renowned American burger brand Five Guys is set to give it some competition, taking up an expansive ground floor space on the corner of Johnston Road and Ship Street. It’s the first East Asian branch of the American burger brand, and burger lovers can expect to find the shop's classic burgers, hot dogs, and sandwiches with at a wide selection of free toppings to choose from, matched with fresh cut fries and a variety of milkshakes, or as Joel Bearden, Five Guys' international brand and marketing director confirms, "We like to focus on making a few things extremely good." What: Central is getting a taste of the world's best pizza this September, as champion-pizza chef Franco Pepe is bringing his signature creations to open Kytaly, where he presents 19 varieties of pizzas, Italian salads and desserts to pizza lovers. Kytaly will also debut the city's first Campari bar. The establishment is set to open September, 2018. What: After Elgin Street's Fukuro and Canton Disco, the group's Shanghai debut earlier this month, Black Sheep Restaurants is returning to Wan Chai this September with Artemis and Apollo, the group's first Greek restaurant. Situated on Moon Street at the Starstreet Precinct and walking distance from the group's Le Garcon Saigon and Le Petit Saigon, the Greek establishment is set to bring Greek classics such as souvlaki, mezzes and a Greek-exclusive wine list to the neighborhood.